My name is Marge Smith and I was diagnosed with AS 5 months ago. Because I do not have the gene inherent to AS, the Rheumatologist said I have Undifferentiated Spondyloarthropathy. The rheum I’ve been seeing isn’t very sympathetic or has offered any help or even explained this disease to me. I’ve been in crazy pain for 4 years w/o a diagnosis until 5 months ago. And, in that time had not been on ANY pain meds at all except Tylenol. Which we all know doesn’t help at all.. Just wanted you to know all the info I have gained and all the facts I’ve learned has been from first going to hurting but hopeful site and ASAP and visiting your blog site as well. Learned a lot, learned all the horrible pain I’ve endured for the last four years isn’t “in my head”, and learned what questions to ask, and that what I’ve been dealing with for years actually has a face. I’m new to facebook actually just joined to be able to join faces of AS. Thank you for helping people like me who after 4 years and 7 different kinds of doctors and countless years of unexplained pain, along with a solid diagnosis, have helped put the puzzle pieces together to put a name to this face. So sorry. Thank you for the story and the photo. Cute! Welcome Marge. I’ll bet those two make you feel better! Congratulations! Getting a diagnosis is the first half, getting treatment is the second. Isn’t it nice to get the first half out of the way, isn’t it optimistic to begin the second! I’m happy for you. PS-I’m new to facebook too. Nobodys shown me yet how to draw “that” smiley face! You should take Marti up on her offer Marge, whe makes a good friend. Marge…I understand! I was diagnosed last year after years of increasing pain and seeing a primary care, neurologist, physical therapists, etc with no answers. Finally the neurologist sent me to my rheumatologist who is excellent. First appointment, just by describing my symptoms, he immediately knew it was A.S. (followed by blood tests and xrays to confirm). Like you I was just SO thankful to have a answer. Has anyone on this site listed a good rheumatologist near you? I’m sorry you have not been pleased with yours…it makes all the difference, I encourage you to find one you are happy with. Best wishes. Love your photo! Real cute. Feel free to add me on facebook if you’d like another AS buddy. Thank you all for your kind welcome… and yes my babies are cute! They help me to get out of bed most mornings.. can’t help but love those smashed little faces! 🙂 I’ve actually noticed a “spring” in my step since joining with you all. My new motto is “Support does a body good”! Just makes me feel better knowing I’m not alone in this fight. And, Martin, will definately add you to my Facebook! One can never have too many friends! I understand the spring in the step.. my heart has been lighter since starting this project… Welcome Marge. Opps! I typed Marti, but it came out Martin! Look forward to chatting Marti! Thank you so much for sharing your story with us. I remember the day that I received my diagnosis, oddly enough it was the happiest day of my life. I love those two babies, nothing like being surrounded by love. Thank you so much for your kind words. Hi Marge! I am so sorry to hear of your struggle with your rheumy. My name is Cara, I live in Yukon Oklahoma, and I too have A.S. Since you also live in Oklahoma I wanted to share with you the name of my rheum doctor because she is absolutely amazing. Very attentive and helpful. She is extrememly sympathetic when she needs to be and also very supportive when I need help trying to get through the rough times. If you are anywhere close to Edmond, I encourage you to check out Dr. Ana Kumar at the Oklahoma Arthritis Center. She is wonderful. Also, I totally LOVE your picture with your puppies. 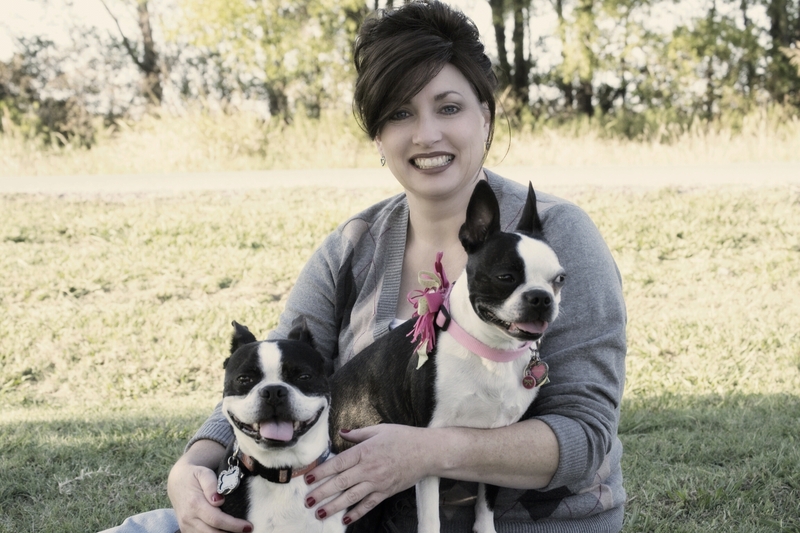 My husband & I are rescue enthusiasts and we foster dogs for the Bella Foundation. Your little black & white babies are so stinkin’ adorable! We have two rotties and a shepherd mix of our own and when my A.S. is giving me an extrememly rough day those puppies are a huge help getting me through it. Take care and keep praying for a cure!